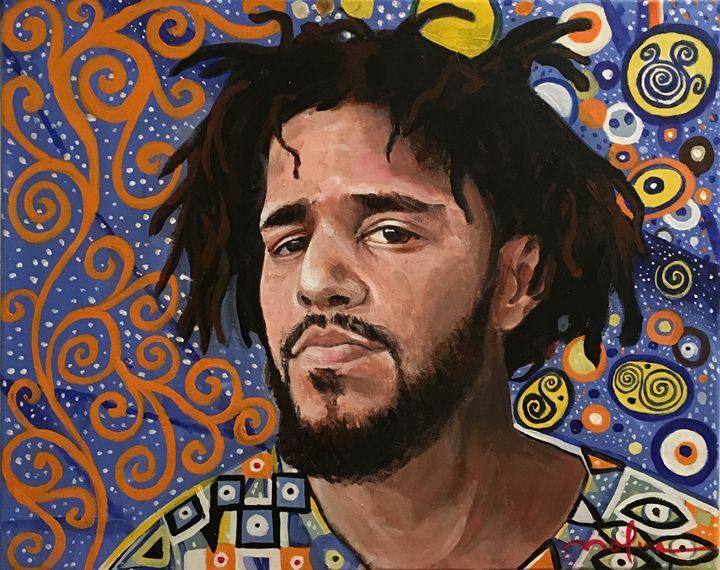 This is a portrait of J Cole; one of my favorite current hip-hop/rap artist. 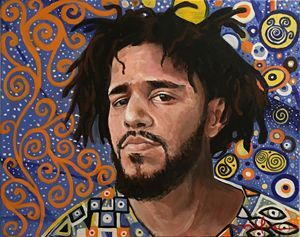 Based off his latest album "4 Your Eyez Only", J Cole lyrically paints a picture of the topic of LOVE and his personal view of it. He also stretches the love he has for music by composing many intriguing sounds of wind and percussion instruments. I captured his sound in the background of this portrait; the left capturing the wind instruments and in the right the rhythmic touches. His shirt bodies his soul, which connects to the background. Finishing it with eyes on his shoulders where our heart is located, tying together his album and my portrait.